I came across this, newly added to Netflix (Australia), yesterday - Adaalat - a courtroom drama starring Ronit Roy. It's been running for 5 series and is popular in India. I didn't watch the first episode all the way through, I dozed off (I was tired, lol). I'll give it another go but I found it slightly melodramatic with near continuous background music effects and I don't know if it accurately reflects actual Indian courtroom procedures. A couple of other Indian tv series are recent additions here on Netflix. C.I.D. - detective series. Again very popular in India but I found it lacking somewhat and a bit superficial and I have only watched one episode. I have watched 5 or 6 episodes of Maharana Pratap (full title Bharat Ka Veer Putra - Maharana Pratap) - historical drama about a sixteenth century Rajput ruler. I'll carry on watching this one. 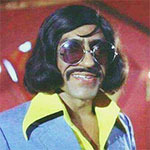 Gorgeous costumes and sets and a suitably villainous villain (Shams Khan) played with relish by Pradeep Kabra. The film, from director Anurag Kashyap, is a first-of-its-kind attempt at presenting an Indian film as a series on the streaming giant's service worldwide. Netflix will offer a specially edited version of Anurag Kashyap's two-part Indian film epic Gangs of Wasseypur, which premiered at Cannes in 2012 in the Director's Fortnight section, as an eight-part series on its streaming service worldwide. The movie also traveled to various other festivals, including Sundance. Addressing a panel on Monday at the Film Bazaar in Goa, which discussed "new boundaries in content creation, marketing and monetizing," Kashyap said the first-of-its-kind attempt at presenting Wasseypur as a series on Netflix "reflects how digital distribution can play a role in expanding a film's audience after its theatrical release." The discussion was timely given that Netflix and Amazon are planning to launch their services in India next year. Co-produced by Viacom18 Motion Pictures, the film's North American rights are held by Cinelicious, which worked with digital rights aggregator Film Karavan and the film's producer Guneet Monga on the Netflix deal, which has acquired worldwide rights. The series will stream on Netflix in the first week of December, subtitled in English, Spanish, French, Arabic and Chinese. An epic tale spanning generations and timelines, Wasseypur revolves around the coal mafia in India's Bihar state and stars actors Manoj Bajpai and Nawazuddin Siddiqui (The Lunchbox) and actresses Huma Qureshi and Richa Chadha, among others. Film Karavan has also sold a package of 20 titles to Netflix, including Fandry, Amal, Loins of Punjab, Kshay and Suleimaani Keeda, which reflect a different sensibility than mainstream Bollywood. In terms of Bollywood fare, Film Karavan has sold Netflix titles such as this year's comedy hit Piku, starring Bollywood icon Amitabh Bachchan. Produced by Sony Entertainment Television's India film unit MSM Motion Pictures, Piku is set to stream in January. "The fact that mainstream Bollywood films are being subtitled in various languages for global streaming indicates at the potential of Indian films seeking an audience beyond the diaspora,” said Film Karavan co-founder Pooja Kohli Taneja. Addressing attendees, which included aspiring filmmakers hoping to make a mark in India's evolving independent scene, Kashyap elaborated further on the opportunities offered by digital distribution: "The other advantage of a web series is that we do not need to deal with obnoxious censorship and we have creative freedom." India's censor board has been under recent fire for demanding cuts in films, such as the new James Bond title Spectre, which had to shorten some of its kissing scenes. By contrast, online content creators have managed to push the envelope. But early this year authorities instructed comedy collective AIB to remove the YouTube video of its first-of-a-kind Bollywood celebrity roast, which was considered offensive due to foul language. Organized by the government's National Film Development Corporation, Film Bazaar, which is in its ninth year and promotes independent filmmakers through various programs, concludes on Tuesday. It opened on Nov. 20.